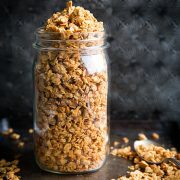 If you haven’t started making your own granola yet there’s no better time than now! 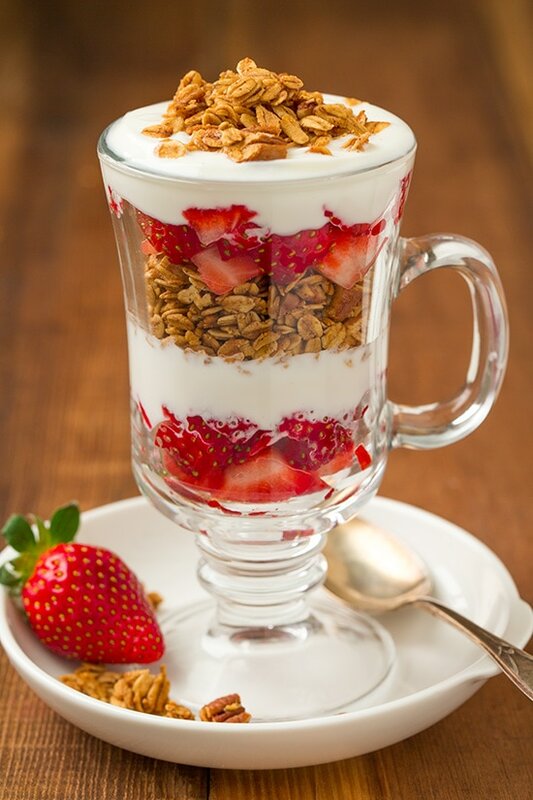 Homemade granola is my favorite and it really is so easy to make. And when you make it at home you get it to choose exactly what goes into it. 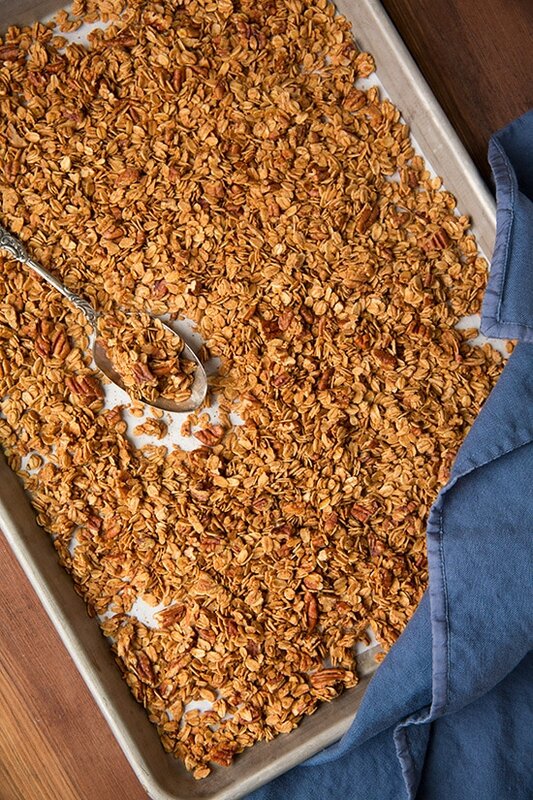 This recipe is probably my favorite granola recipe to date. And the smell that fills your home while it’s baking is simply dreamy. Plus I get to smell it again ever time I open up the mason jar I’ve stored it away in. You might just find me tucked away in my pantry sniffing away at my mason jar :). 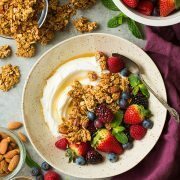 My favorite way to eat this perfectly crisp granola is with strawberry or blueberry Greek yogurt but you can definitely just eat plain (it’s the perfect thing to have on hand when you get those afternoon munchies) or can serve it up in a bowl with milk (my personal preference is almond milk). 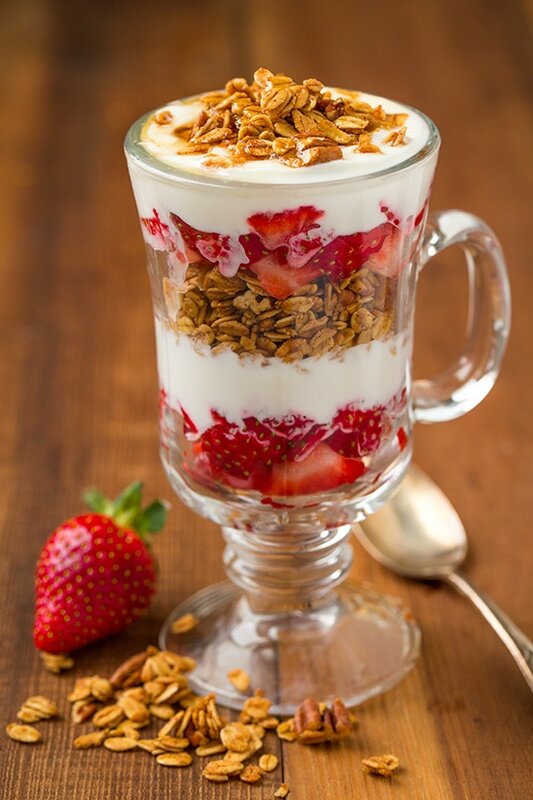 And if you want to get fancy, make layered breakfast parfaits with fresh fruit! This is one of those recipes I will turn to time and time again. 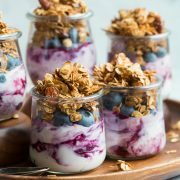 A new healthy breakfast fav right here! 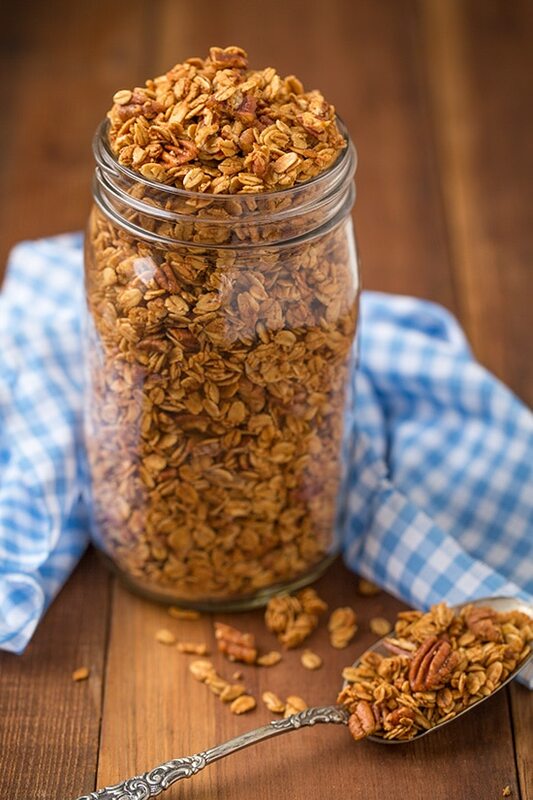 Easy to make super tasty granola made with real maple syrup, and nutritious oats and pecans. Preheat oven to 300 degrees. 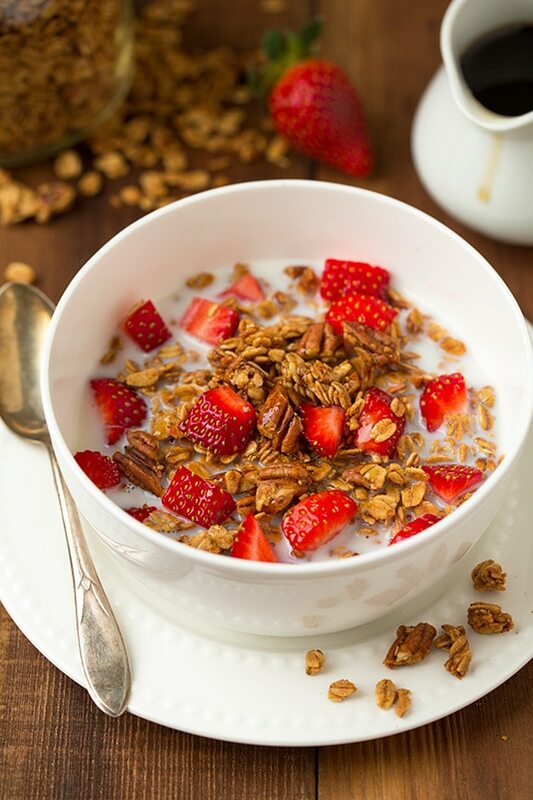 Pour oats and pecans into a large mixing bowl. In a separate mixing bowl whisk together all remaining ingredients. Pour over oats and toss until evenly moistened. Pour mixture onto a Silpat or parchment paper lined baking sheet and spread into an even layer. Bake in preheated oven about 40 - 45 minutes, tossing once halfway through baking (granola should be crisp after resting at room temp a few minutes). Cool completely. Store in an airtight container at room temperature.